EU Prophecy News: When will the Antichrist be revealed? In the end times, the Antichrist makes a covenant. There are four features to this covenant. It is made by a future “Roman” ruler. It is made for seven years. It is made with Israel. Other Bible passages seem to imply that, it will contain a promise of military protection for Israel. In 2002, Javier Solana and another EU official wrote a letter proposing a European Neighborhood Policy. The goal of this policy was to create a ring of friends around the Mediterranean and Eastern Europe. 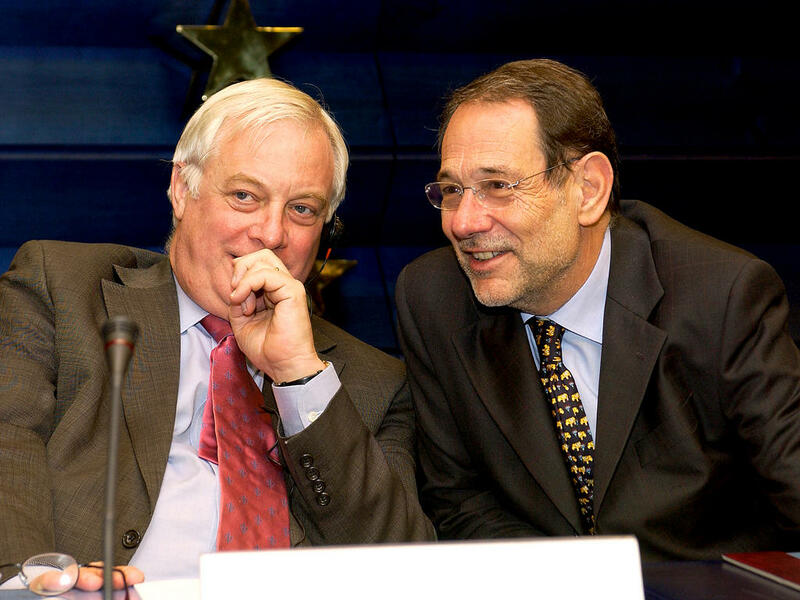 In 2004, the EU’s executive branch launched the ENP. It has several partner countries, a map of which looks curiously similar to a map of the old Roman Empire. Under the ENP, the European Union would pay member countries in exchange for their good behavior. Israel is an ENP member country. 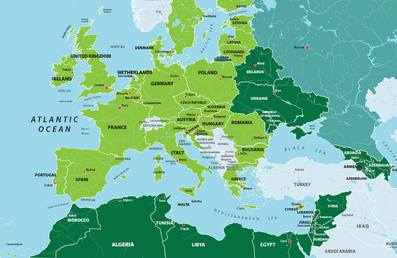 In 2007, the European Union passed the ENPI, which finances the European Neighborhood Policy for a period of seven years. This was meant to coincide with the EU’s 7-year budget, from 2007-2013. As it says in the official documentation “"It shall apply from 1 January 2007 to 31 December 2013." After the first 7-year period was done, the European Union renewed the funding for the European Neighborhood Policy, under the upgraded ENI. This finances the European Neighborhood Policy for another seven years, from 2014, to the end of 2020. As it says in the official regulation “"It shall apply from 1 January 2014 until 31 December 2020." Here we have a revived Roman Empire making a 7 year contract with Israel and many other countries. So what’s missing? The Bible says that the Antichrist, specifically, is the one to make the 7-year contract with Israel and many others. Though he comes from the revived Roman Empire, a contract between the revived Roman Empire and Israel is not sufficient. In the previous video, we learned how Javier Solana is the top candidate for the Antichrist. Although he wrote the letter proposing the ENP in 2002, he wasn’t the one who actually caused it to last for 7 years. But more importantly, the ENP does not contain a promise of military protection for Israel. Which immediately raises the question. Is the European Union able or willing to provide military protection to its neighbors? On 06/16/16, Solana presented his research paper to the European Parliament committee on defense. His research paper was based on many ideas he had proposed back in February 2015, in his pamphlet called “More Union in European Defence.” Back in March 2015, when Solana presented this pamphlet, he stated “"I will put all of the energies that I have left to push forward this process." With this statement, Solana shows a strong desire to catapult himself back into European politics, especially in the area of defense and security. He was so passionate about building a military union for the EU that he went on tour, presenting his plan in many European capitals. He went to all this effort, without any official EU position. As a result of Solana’s research, the European Parliament adopted a resolution on “European Defence Union” in November 2016. 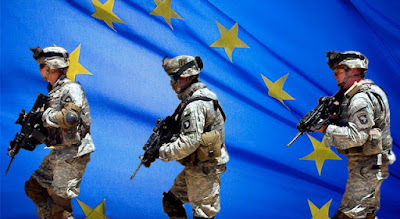 Within this resolution, Parliament stated they intended for the EU’s military union to be established over the next 7 year period, from 2021-2027. In December 2016, EU member states launched another 7-year program, called the European Defence Fund. This has two sections, the first of which is a 7-year military research and development program. Here, we see three major 7-year programs. The first is the EU-Israel relationship, which is already based on a 7-year program called the ENP. The second is the proposed European Defence Union, which could be used to provide security to neighboring countries. The third is the European Defence Fund, which enables the EU to invest in new military innovations over a 7-year period.. All of these programs could easily converge when the Antichrist finally makes his “covenant with death” for seven years. What’s so important about the 7 years? It’s what happens halfway through it that makes all the difference. If the next 7-year budget framework is the covenant with death, that would put the “Abomination of Desolation” in the summer of 2024. “Abomination of desolation” is a technical term for an idol being placed in the Jewish temple. Both Jesus and Paul make clear that the end time abomination of desolation is not a mere statue, but a person. This is where the Antichrist is revealed for who he really is. Jesus tells us some very important things that happen immediately following the abomination of desolation. After providing further details about this time of extreme trouble, Jesus says that he brings it to an end with his Second Coming.